500 pairs of tickets to give away to Grand Designs Live! I absolutely love interiors and can spend hours on Pinterest, Instagram and flicking through home improvement magazines for inspiration for our own home. I love seeing what's new for the season and every year or two we plan a bigger home renovation project, so we're always looking out for what's new and expert advice. To Become Mum has teamed up with Grand Designs Live to give you the chance to claim one of 500 - yes 500! 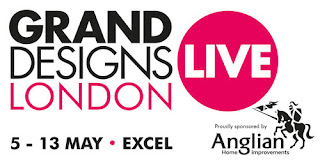 - free pairs of tickets, worth up to £34 each, to the UK’s leading contemporary home show – Grand Designs Live at the ExCeL, proudly sponsored by Anglian Home Improvements. This inspiring event, presented by design guru and TV broadcaster, Kevin McCloud, at ExCeL London from 5th to 13th May 2018, will see an array of new exhibitors, features and stages alongside established favourites. I've been in previous years and it really is a treasure trove of ideas and practical advice, and a warren of stalls and stands from top brands as well as companies you won't find anywhere else, under one roof. 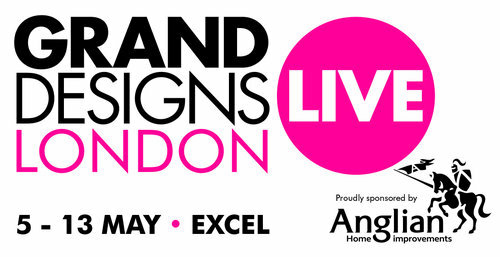 To claim your free pair of tickets, just head over to www.granddesignslive.com and use the code 2BCO18 before close of play Friday 20th April 2018. So whether you are planning a big house project or just want to have a mooch around and a great day out, there's no reason not to go to Grand Designs Live next month with some free tickets courtesy of To Become Mum! Don't forget to let me know on Twitter if you are going, or in the comments below, or to tag me on Instagram when you're there so I can see what you've been inspired by. Terms and Conditions:Tickets can only be claimed online and cannot be claimed by any other method. Tickets are available for use on 8th, 9th, 10th or 11th May 2018 only. Tickets cannot be exchanged for cash, are not transferable and cannot be duplicated. There are only 500 pairs of tickets available which will be issued on a first come, first serve basis. Once all 500 pairs of tickets have been claimed, the code will no longer work. You must print your own tickets and show them at the entrance to Grand Designs Live on the date you have chosen. Failure to print your tickets could result in refusal of entry. In the event of any dispute, the show’s organisers, Media 10 Ltd have the right to refuse admission. Call the ticket hotline on 0844 854 1348. #TBT - Back off our post-baby bodies! Our love of TV and films, and of Alexa!